Should We Use Science to Manipulate the Climate? Should we use science-based proposals for alleviating global warming such as putting particles in the upper atmosphere to deflect solar energy? Do we know enough about the risks of such wide-scale manipulation of the environment to be sure we know how this would turn out? Scientists weigh risks of climate 'techno-fixes', by Moises Velasquez-Manoff, The Christian Science Monitor: Faced with the specter of a warming planet and frustrated by the lack of progress..., some scientists ... seek a way to give humanity direct control over Earth's thermostat. Environmental policy driven purely by cost-benefit analyses cannot, they say, effectively point the way on large issues like climate change. American farmers are planning to plant more corn this year than anytime since World War II, as farmers rush to cash in on high prices bolstered by the demand for ethanol. Finally a voice of reason for climate change policy! "It [global warming] is a very valid issue," [Scientologist and former Sweathog/T-Bird John Travolta] declared. "I'm wondering if we need to think about other planets and dome cities." There seems to me to be a very fundamental difference. Is the economy a subset of Earth's ecology or is the environment a subset of the field of economics. Using the former lens seems more appropriate to me. Now more than ever it is important for economics to re-engage with other disciplines - rather than roll over the top of them as is currently occuring. It is painfully obvious to too few: the economy is a subset of the environment. You can have an environment without an economy, but you can't have an economy without an environment. I'm not sure if Dano was calling out environmental economists for assuming that the environment is a subset of the economy, but I took it that way and to that I respond--nice try. So I will go back to first principles to explain the position most economists I know take on the environment. I present to you, the Block-O model of an economy (more commonly known as the circular flow model). Prices at the pump are rising again, much as they do every spring as oil traders bid up the price of crude ahead of possible summer shortages. Possibilities for more conflict in Iran and elsewhere in the Middle East are adding to the surge. A demand increase is in the first sentence. A future supply decrease expectation is in the second. This leads to another demand increase today in the futures market. No real supply change has occurred. So, how will consumers react? Building houses closer to the water on an eroding, yet nourished, ocean beach sounds like a dumb idea to me. But that is just me, and I've been known to do some dumb things while thinking that they were smart. So, I read some articles in the Wilmington Star News last week and didn't really (a) understand, (b) fathom, (c) comprehend, or (d) all of the above that the North Carolina Coastal Resources Commission (the quasi-government agency that usually upholds North Carolina's ban on beach hardening) would really allow foolish (in a long term sense) construction. Hundreds of new houses could rise on North Carolina's renourished beaches in coming years, making lot owners and tax collectors as happy as clams in an incoming tide. The question is how long the houses can stand in that tide. To put that estimated price tag in perspective: the €1.1 trillion is over 14 years. That’s €60 billion to €80 billion per year, or $78 billion to $106 billion per year, which is about 0.7% of the EU’s nominal annual GDP of $13.5 trillion dollars. The EU economy grew about 2.8% last year. So an anti-global-warming bill of the sort McKinsey is talking about would mean an appreciable drag on growth. "The sinister idea of converting food into combustibles was definitively established as the economic line of the foreign policy of the United States." The most basic economic analysis of environmental policy considers a marginal (i.e., additional) abatement cost that increases with emissions (or effluent) reduced. Emissions taxes or abatement subsidies. If the tax is above the marginal abatement cost then the firm will choose to reduce emissions until the tax is below the marginal abatement cost. Then the firm will choose to pay the tax. If the subsidy is above the marginal abatement cost the firm will choose to abate until the subsidy does not cover the cost. In the short run, both policies can be used to achieve the optimal pollution level. In the long run, we're not so sure. Bills introduced in the House and Senate would provide up to $50 million to help farmers convert to more environmentally friendly waste disposal systems. Any new systems would have to reduce odors, airborne pathogens and water pollution. 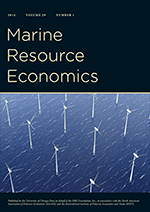 This study documents how fisheries in the United States and British Columbia have performed against key environmental, economic and social goals since converting from conventional management to catch shares.